FRA is one of only five companies qualified to assist ETHIC Intelligence and one of only ten companies in the world approved to carry out validation audits for the EITI. FRA is a market leader in regulatory compliance, financial investigations and data analytics, and understands that constant vigilance in information security is critical for both our and our customer’s business. 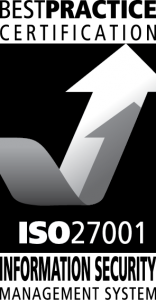 As such, FRA has earned the ISO 27001:2013 certification for the technology systems and processes, related business activities, and maintenance and management of Internet and Web services and systems related to Data Collections and Forensics, Client Data Processing and Hosting, and Internal Systems having data interaction points with Production Processing and Hosting systems. The Certificate certifies that FRA meets the Cyber Essentials implementation profile published in April 2014 and that FRA’s ICT defenses are assessed as satisfactory against commodity based cyber-attack. Cyber Essentials is a Government-backed, industry-supported scheme. The Government worked with the Information Assurance for Small and Medium Enterprises (IASME) consortium and the Information Security Forum (ISF) to develop Cyber Essentials, a set of basic technical controls to help organizations protect themselves against common online security threats. This helps organizations to protect the confidentiality, integrity and availability of data stored on devices which connect to the Internet. FRA is an accredited auditor for ETHIC Intelligence. This prestigious appointment makes FRA one of only five companies qualified to assist ETHIC Intelligence in delivering certification for corporate anti bribery and corruption (ABC) compliance programs around the world. The certification terms of reference developed by ETHIC Intelligence are based on all existing major international standards, including international ABC conventions (UN Convention against Corruption, OECD Convention on Combating Bribery, etc.) and guidance provided by selected national regulators and prosecuting authorities (for instance in respect of the FCPA Federal Sentencing Guidelines and the UK’s Bribery Act Guidance). FRA is one of only ten companies in the world approved to carry out validation audits for the EITI (Extractive Industries Transparency Initiative), which evaluate how well a country’s government conforms to the EITI’s standards of transparency in reporting revenue received from the extraction of natural resources.